There is some unusual cross hatching on the instruction card underneath the menus. I've also noticed that is on the pricing card as well. That guest ID as a logged in user is very ugly. Why is it not either pulling my details from Google Play games or allowing me to edit that value? I did notice that I was getting in-game server errors in Google Play games before which may be related to the problem. As a user I have no idea what promote table means. Does it mean upgrade table? As a user I would definitely not spend 150 in game credits on it before understanding fully what it does. If it is indeed "upgrade table", shouldn't we just call it that? There looks like there are other surfaces affected by the masking or horizontal lines issue. Pop bumpers and ramps on this angle. Is it problems with aliasing? When you start the game on a Pixel XL 3 the menu floats in the upper third of the screen. When I switch over to another Android app, the Exit menu overlay triggers. When I switch back to WP the menu is positioned correctly. I'm just getting internal server error on basically any store-driven purchase I try to make. The same goes for any game-related currency feature. It's anyone else experiencing this? It's making the game unplayable. I can only look and interact at the interface level of the game. I have uninstalled, reinstalled, and I'm using Google Play Games as required. I have a strong 4g connection on my Pixel XL 2. I was getting that. Then I uninstalled and re-installed and it was working. Seems to be working fine right now. Pixel 3 XL. I only uninstalled the original "pillar" build this morning and did a full reinstall. I also just cleared the cache with no change in behaviour. Be careful about uninstalling and reinstalling though, if you have progress in the game. I think anytime the phone times itself out and goes to sleep, connection issues come up and eventually lead to a crash. I'm having trouble with the connection to Google Play Games, but only on my tablet (Samsung Galaxy Tab S2) and not my 'phone (Pixel 3 XL). Gonna try clearing the cache on my tablet, see if that helps any. Okay, the download link was there just now. I got the beta installed and everything seems to be working. This whole thing is needlessly complicated with the promoting, tickets, tokens, parts, levels, etc etc. 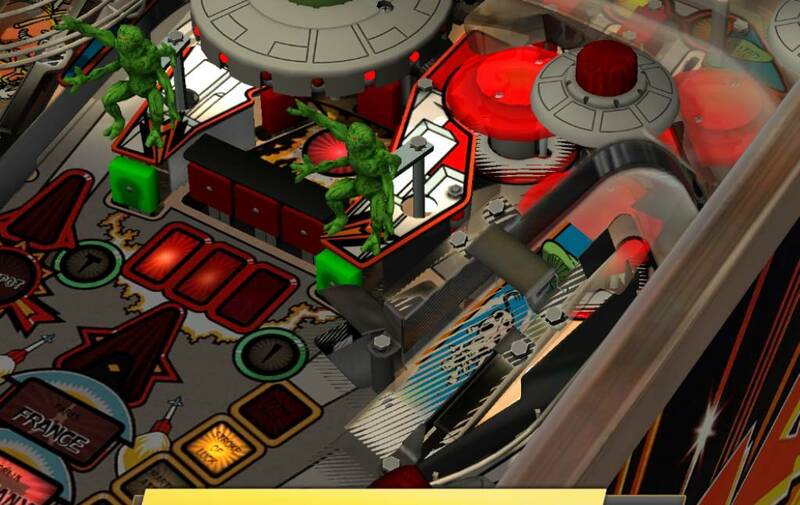 It's *pinball*! It's just bloody *pinball*! Let me log on and play some games that I've paid for. Simple. Easy. All these endless little in-app purchases and steps are micro-managing all the fun out of what should be a basic pleasure. I'll go back to the app again soon, but that's my initial reaction. This chaotic bureaucracy of options is going to scare off gamers. TPA has a simple model. So does Zen. Why not here? Just buy the Zen coins and buy the table outright. 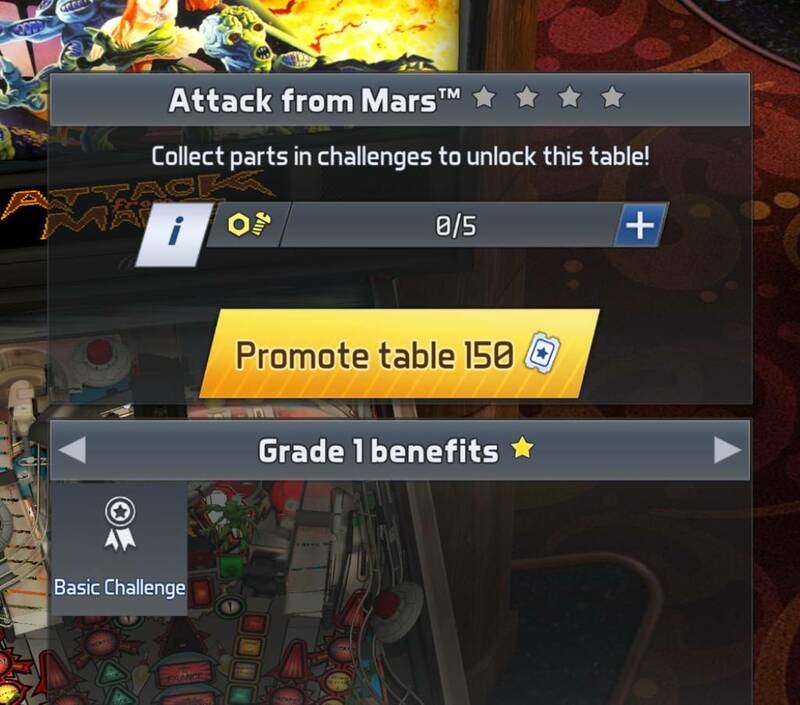 If you do that then you can skip buying parts, tickets, challenges... you can just open it up and play the tables whenever you want. I have come from TPA, I've never played a Zen game before. I was thinking all this 'nonsense' was a regular Zen thing. Are you saying it's not? And freshly implemented for their Williams game? So the business model is frustrate users into buying. This is standard mobile gaming practices, so don't confuse it with console and PC games. If you want mobility with a console experience, get yourself a Switch. The user interface is a bit confusing, and the terms used are not even the same as used in FX3 (which I wish they would have unified behind). You'll get used to it quicker than you think though. You can buy the tables outright, or you can grind. I personally like that I can grind to get it all for free, as that's how I game on my phone. I was able to unlock and max out all the tables in the beta over the course of 3 weeks. Certain measures have been put in place that will now make that a longer process, but it's doable. Play those daily challenges! Have you all tried the multiplayer side of things? It kicks you over to Skillz, where you can play free tournaments or money tournaments. All winning carry over from one Skillz game to another, so go ahead and download Zen's eSports edition and FarSight's Pinball Tournament app and get to earning! I started with FarSight's app a year ago, never put one dime into the game. By earning achievements, you sometimes get money. I got $3 from that, and have since turned it into $55. Installed it, played it for a few minutes, got frustrated with all the popus and the weird "upgrade" systems, so removed it within 5 minutes after installing it. I'll keep on playing on my PS4. I'll continue playing - on the minus side that's because I have no other platform for this. But on the plus it's because it appears superior to TPA. One thing TPA has over ZenW (as far as I'm aware) is the Table Exploration mode. Given the work that's obvs been put in to these recreations it's a shame we can't examine in more detail. This is something that people unfamiliar with the RL tables would surely appreciate? What pop ups? The ones that amount to a tutorial of what to do next? That’s like turning off a movie because you didn’t like the opening credits. Sorry, I wasn't very clear indeed. I mean the menu / options/ buy pop ups. I am not talking about external commercial pop-ups. When I play a pinball game, I just want to select a mode & table and go... And not pressing various options after the first ball-loss.